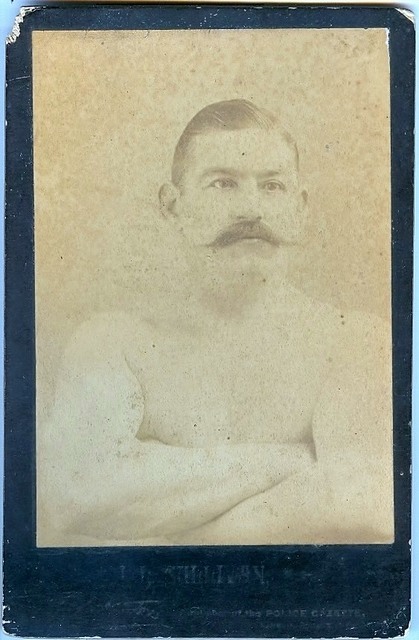 Police Gazette John L. Sullivan. Richard Fox issued a multitude of cabinet cards under his studio and also issued a series for his newspaper The Police Gazette. The latter have the ACC designation M128.